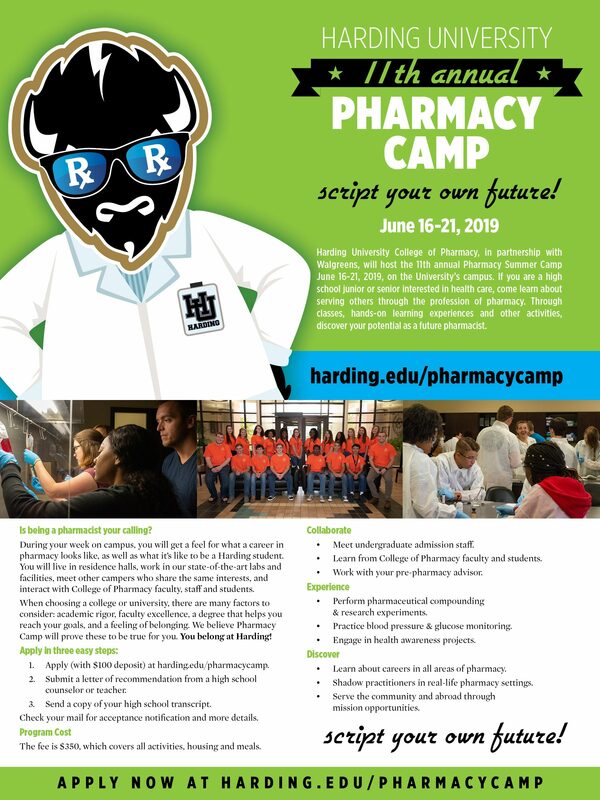 Harding University College of Pharmacy will host the 11th annual Pharmacy Camp June 16-21, 2019, on the Harding University campus in Searcy, Arkansas. If you have completed grades 10, 11,or 12 in high school and you are interested in healthcare, come and learn about serving others through the profession of pharmacy! Through classes, hands-on learning experiences and other activities, discover your potential as a future pharmacist.